Environmental activist Ma Jun has won the prestigious 2015 Skoll Foundation Award for Social Enterpreneurship for his many campaigns to obtain an accurate picture of pollution in China. Ma Jun tackles lack of public information on pollution in China by creating tools for people to access information about their local land, air, and water using existing government data, the Foundation’s citation said. His work has generated “increased public participation in environmental governance” and led to nearly 2,000 factories taking action to clean up their operations. Investigative journalist Ma Jun founded The Institute of Public and Environmental Affairs (IPE) in 2006 because he was concerned that, without public pressure, polluting industries had little reason to clean up their operations, and often received only minimal fines. Skoll Foundation also praised IPE for promoting sustainable global supply chains by getting large corporations and multinationals like Apple, Hewlett Packard, H&M, and Gap to monitor the environmental performance of their suppliers. 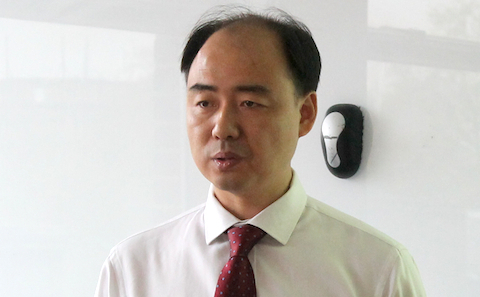 Ma Jun writes for chinadialogue and is a member of its editorial advisory board. The Skoll Awards “distinguish transformative leaders who are disrupting the status quo, driving large-scale change, and are poised to make an even greater impact on the world,” the citation said. "We're delighted that Ma Jun's pioneering work has been recognised in this way," said chinadialogue's CEO Isabel Hilton. The award brings with it a prize of US$1.25 million (£837,453) to help the winners to “scale up their work and increase their impact.” The Skoll Foundation says it has distributed US$499 million since 1999 to support the development of NGOs, and tackle environmental threats. The biggest obstacle to environmental protection in China is not a scarcity of funds or technology, but a scarcity of motivation, says Ma Jun of Chinese non-profit group IPE. We’re winning the air pollution data battle – so what next? Chinese cities have started publishing data on PM2.5. Now they must clean up the air, says Ma Jun.